Born in Toronto, painter and storyteller/performer Jeff Willmore studied design and, later, fine art at FanshaweCollege in London, Ontario. He earned his diploma in 1980 and has continued to maintain close ties to the London area. Willmore’s body of work is varied, not only spanning landscape and figurative art, but also exploring rich areas in between. 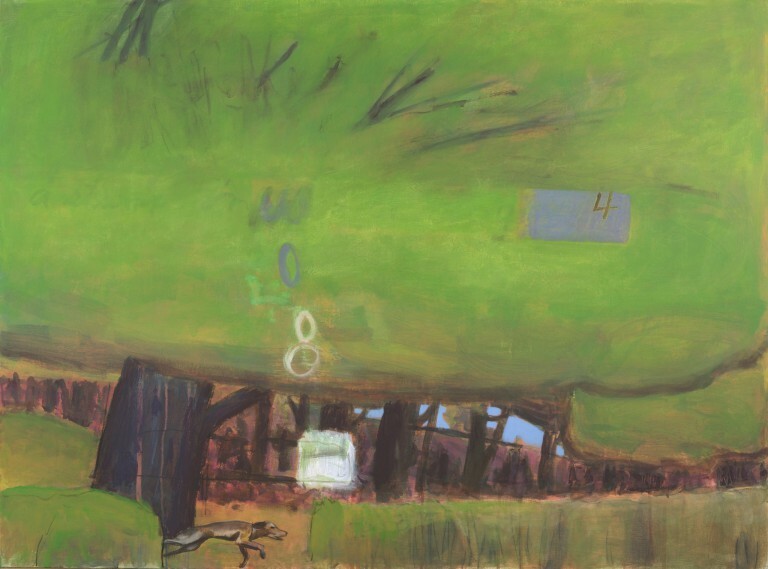 Willmore’s solo exhibition at Museum London in 2013-14 in fact features only those paintings which combine both traditions, which he calls “composite” and “narrative,”1 featuring figures in urban and rural landscapes. These figures sometimes, but not always, engage with their environment or each other. Willmore therefore throws into relief what is missing in contemporary social interactions, even as they suggest what could be “extraordinary” about a supposedly “ordinary” environment. A firm believer in recognizing the painting tradition that precedes him, Willmore sees value in learning to paint well before trying to forge one’s own painterly path. He favours a neo-expressionistic style that becomes looser in what he calls his “plein air”2 paintings, landscapes created all or in part in the open air. Willmore is also unafraid to choose unusual perspectives for his figurative works: in the late 2000s, he created a series of “Aerials” which take an overhead perspective of pedestrian traffic.